Today Zulily has Stride Rite shoes on sale. YES! This is one of my favorite sales that Zulily offers. 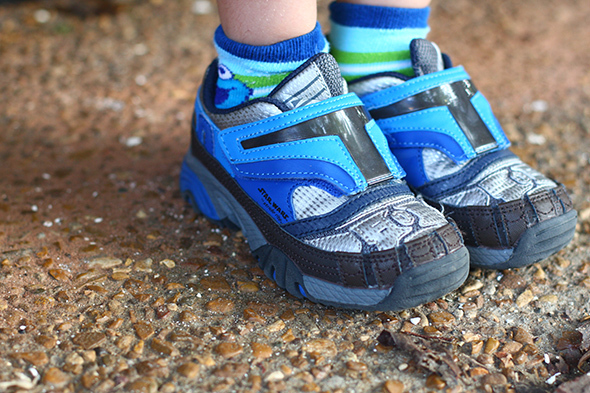 Without question, Stride Rite are my favorite kids shoes, but I never, ever pay full-price for them. Instead, I shop flash deal sites to get them at least 50% off. I always keep the next 1-2 sizes on hand for my kids because you never know when they will have a growth spurt. Plus, this ensures that I am able to get a really good deal on the shoes because I am not shopping last minute. This past weekend, we noticed Elias’s current Stride Rites were in bad shape. He has had them for awhile and is ROUGH on shoes (I think that’s a boy thing, yes?). So if you like a good deal, quality shoes and maybe even shopping ahead, go check out the Zulily Stride Rite sale today. I snatched up a 10.5 for Elias – he’ll outgrow those new shoes before I know it! Awesome! Always happy when others take advantage of great deals.